Purple mountains light up at the dawn of a new trip. Those little black dots on the grass are sheep! You can jump straight to Day One of the trip. I am so thrilled to be sharing the recap of our recent trip to New Zealand! This post will serve as an intro and talk you through the months of planning that we did. If you are dreaming of visiting New Zealand in the future, I hope this information makes your planning quicker and easier. Be sure to follow this blog as upcoming posts will walk you through each day of our trip with details and pictures. I think there is a New Zealand vacation for anyone. You could take a Red Carpet Tour and be immersed in Tolkien and movie making from start to finish. On a trip like this you wouldn’t have to lift a finger. You could fly to each of the big cities and take in museums, architecture, winery and cheese tours, sports, and music festivals. You could go for adrenaline rushes and scale buildings, jump off bridges, jet up rivers, helicopter over snow capped mountains, and roll down hills in a Zorb. You could go on multi-day hikes and bike trips (complete with suspension bridges – cool! ), and scale glaciers. Hopefully you can already see that it would be impossible to design the one-size-fits-all New Zealand trip. What I’ll do instead is talk you through what we did and what I think is the best thing to do in a given situation if you want a vacation like ours. If you plan to use any of this information, it is important that you understand that I’m writing this for people who are like my wife and me. New Zealand is not a small place and it takes so long to get there (We left on a Monday and didn’t arrive until Wednesday! 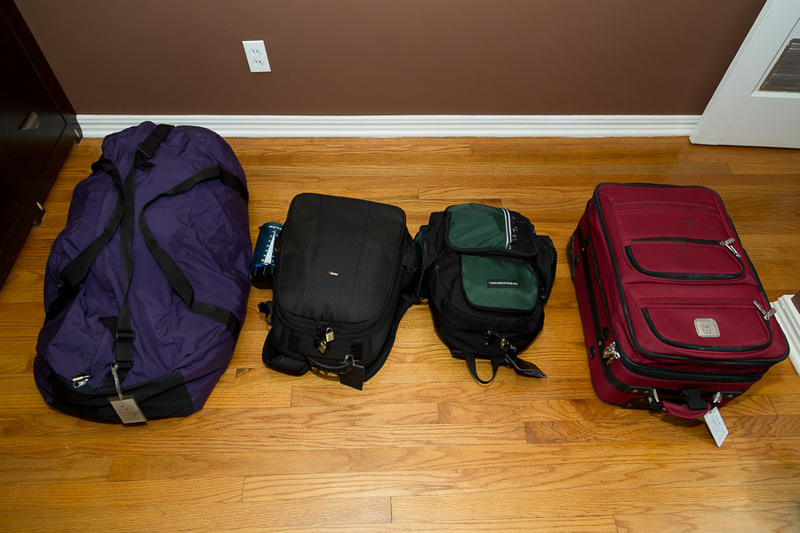 ), we figured that we better pack in all of the must see stuff this trip because we we would probably never be back. Many of the things we wanted to see were fairly remote and spead out between the two islands. This meant plane hopping around the country would be impractical so we’d be spending a good bit of time in the car. By literally all accounts I’d gotten from natives and visitors, this would be just fine. People said that the most remarkable thing about NZ is that it is beautiful absolutely everywhere. We wanted to see movie sites, beautiful scenery, go on some good hikes, stay in clean decent hotels, and take in anything cool that is unique to New Zealand. We knew that this wouldn’t be a go and relax trip. It would be a go and go trip. In fact, it was pretty tiring, but neither of us would have changed the pace in retrospect and we did build in some rest days in the middle that really helped out. 1. ANYONE GOING TO NEW ZEALAND MUST WATCH THIS SHORT VIDEO. It contains helpful examples of buying stuff, driving correctly, and understanding what to do when you are in NZ. 2. Bring/rent a dedicated GPS receiver (You remember those Garmin boxes that would suction cup to your windshield that got supplanted by smartphones a few years ago). This will be a huge improvement to your trip if you plan to spend any time outside of the cities. Signage is good most places but it wouldn’t be terribly hard to get lost if you relied solely on printed maps and you’d definitely have to pay much closer attention to the maps than the beautiful stuff going on outside the car windows all the time. Planning to just use your phone is a bad idea. You won’t always have mobile phone coverage and with a dedicated GPSr you won’t have to pay for downloading data when you do. Clearly this is something that the natives deal with and they have an excellent website for getting free maps for Garmin devices that is updated weekly. You could probably also rent a vehicle with a built in GPS receiver. The big advantage of bringing your own is that you can plot out your suggested daily routes in advance, save them, and just go once you are in country. In our case, the Garmin Nuvi 760 couldn’t hold all of our routes at once. However, we found that just having all of our points of interest saved as “favorites” worked perfectly. Just select the place you want to go next quickly and easily. Thanks for your old GPSr Dad! Thanks for the great tip Gracie! This device drastically improved the trip! 3. A hard copy of the addresses and GPS coordinates of the places you plan to visit. This is a good backup in case your GPS receiver is uncooperative. It might be critical if you plan to rent a GPS receiver after you get to NZ since you won’t be able to enter the info pre-trip. Even with up-to-date maps, our Garmin did not have entries or correct entries for every place we wanted to visit. When all else fails, putting in the GPS coordinates will usually get you close enough. 4. A printed road map. Ours was not extremely detailed, but I had printed some Google Maps to supplement it. They are useful for ensuring the GPS receiver is taking you to the right general area. Especially good for those on-the-fly additions that you didn’t get to check at home. 5. Driving is slow going. It will take you longer to get places between towns than GPSr’s or Google Maps tells you. For our two-week trip, we estimated that we spent about one hour total time on flat ground driving outside of cities. That means 97+% of the time was on little twisty roads that hugged the side of a mountain. Multiple times we had to stop and wait on sections of “two-lane” road that could only really accommodate one car at a time. I would estimate that you can only drive at 75% of a given speed limit for planning purposes. 6. Don’t plan to drive at night. Because of the twisty roads and all of the wildlife that wanders around on them, just plan to be in town by nightfall. We also noticed that the smaller out of town gas stations shut down in the evening (7pm). 7. When you get to half a tank of gas, start looking for a gas station. Much of NZ is extremely rural. 8. Consider a 4WD vehicle for the south island (not needed for the north island). Although more expensive (higher rental price and higher gas consumption), I think it is worth the luxury. If you take a trip like ours, you’ll be fording creeks and driving on washboard gravel roads from time to time. Others went every place that we did with tiny 2WD econobox cars, but my advice is save your fun money for an extra month and upgrade. 9. If you want to cut costs and increase your flexibility, you might consider renting an RV. These are not the mammoth battering rams you see on the road in America. Think modified Honda Odyssey or Toyota Sienna. Basically an updated version of the old VW campervan. The video in tip #1 provides a link to an app to help you find places acceptable to park your RV. You’ll not have to pack and unpack everyday. You won’t pay extra for a hotel room. It has been proven to me that you can get to some pretty remote places in them (but I wouldn’t think it would be a fun drive). LOTS of people do this in NZ. We saw many people traveling this way – young adults, families with kids, etc. One company that looked like it had good vehicles and was all over the place is Jucy. We’ve never had mobile phones on previous trips out of the country but we felt like it would be useful on this trip. Everyone assumes you have one anymore. You could buy a cheap dedicated phone for the trip but sim cards are easy to get for any of the more modern phones (we had no problems finding cards for our iPhone 6 and a Galaxy S5). You just pop your US one out and pop the NZ one in and add some prepaid minutes on your phone by following the instructions that come with the sim card. Free sim cards were everywhere. You just had to ask for them. We rented our first car from Apex in Auckland and they had free sim cards for our phones. The first hotel we stayed at in Auckland also had free sim cards. I’m sure they were available other places too. It is worthwhile to make sure your phone is unlocked before you travel. Here is good guide. I put $20 on a prepaid account for my phone because there was a discount at that amount, but we barely ever used the phone. I’m glad that we had it though. There were a few plans that would have been difficult to finalize without them. There was a complimentary hotel shuttle that would have been really tough to coordinate without it. I think we could have easily gotten by with $10 of prepaid minutes though. Beware of signing up for a plan though! You just want to get some prepaid minutes not be enrolled in a plan that charges you on a monthly basis. Vodaphone – Big daddy. Most coverage. 2Degrees – Cheaper than Vodaphone. Piggybacks on the Vodaphone network. This is what we used with no problems. Telecom – Supposedly poor coverage on the south island. 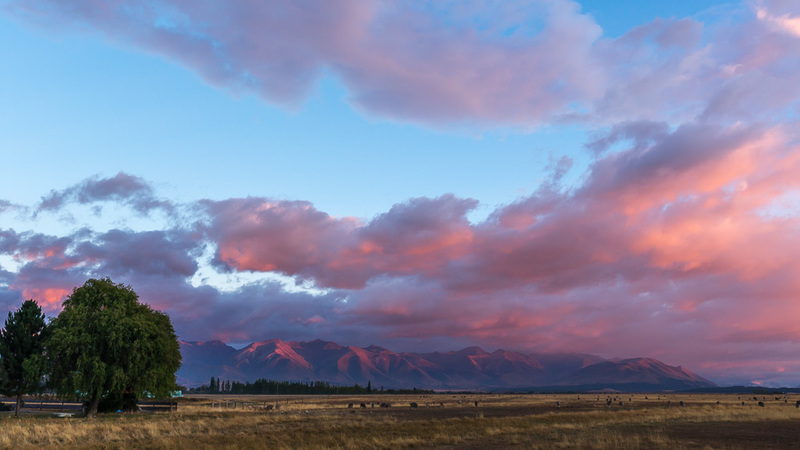 It would be hard to beat Trey Ratcliff’s video course on landscape photography for NZ. Read a review of the course here and get a discount if you buy it through that link. If you are really into photography, like me, you could easily make this entire trip about taking pictures. We didn’t have that luxury as we wanted to see and experience as much as possible, but I can’t think of a better place to take pictures than this. There is something amazing to shoot almost everywhere and sunrise and sunset lasts an extra long time here. There are many photo tour guide companies that will take care of all the details for you. I don’t know which are good or not. This would be a good place to consider doing some aerial photography and there are several helicopter companies that you could get to work with you on this. Your results could be spectacular here! If we had had another day or two, I would have added in a helicopter trip to Milford Sound from Queenstown. Even if you don’t want to bring your big bulky photo gear, it is worthwhile having a decent camera in your phone or a little point n’ shoot camera. It cannot be overstated how beautiful this country is. I never ran into any problems using my tripod anywhere, except places where it was crowded and busy. In other words, no one ever told me it was against the law or tried to make me put it away, etc. Bring rain protection for your equipment. The weather changes ridiculously fast here. More than once I started taking pictures only to get dumped on. As mentioned above in the driving section, watch this little video. We would have run into a few real problems if we had not seen it before we visited NZ. The best general guidebook I was able to find is Lonely Planet New Zealand. If you feel the need to have a single guidebook in hand, I liked this one the best. It has a removable general purpose map (not detailed enough for driving around), and good basic info on everything. The Fodor’s book was pretty similar – even had a map too. The biggest problem with guides like these is that they are designed for everyone so the information is general so a significant level of “weeding” is still necessary. If you are comfortable traveling without a book, you might do just as well looking stuff up on New Zealand’s excellent government sponsored website (pretty pictures) coupled with reviews from Tripadvisor (very useful). I watched both of the Globe Trekker Specials (one and two), which had some overlap. They are entertaining and do a decent job giving you an idea of what to expect in NZ. Be aware that the Chirstchurch information is pre-earthquake so the city is quite different now (the botanical gardens are still quite impressive though). For LOTR and The Hobbit information the best starting place is the Ian Brodie books (here and here). They have nice pictures, some suggestions of places to eat and stay and some GPS coordinates, but they really are not full guidebooks – more of annotated picture books. I would have hoped that at a bare minimum they would have included GPS coordinates for all locations and information on how to get to them. It would have been great if he had shown pictures of parking locations with GPS coordinates too. Unfortunately, you are going to have to do a lot more digging if you want that. To be fair, several locations are on private land and I’m sure Mr. Brodie is trying to discourage trespassing and encourage visiting them with an organized tour group. There are some websites and blogs that have some partial info, but it seemed that looking for Google Earth data was the most helpful. This info conflicted and in all cases, I believe that Mr. Brodie’s is the most accurate, when available, but I can’t be sure. Of course the quick-eyed folks will pick up details from the behind the scenes videos that accompany the LOTR and Hobbit DVD’s. You’ll see my specific suggestions called out as I talk through locations in the coming days. If I were looking for a packaged tour that would do a good job of showing me LOTR and Hobbit locations, Red Carpet Tours seems like a great place. We didn’t go this route because Melanie isn’t a big LOTR fan and this would have left out almost all of the active/adventure part of the trip, but if you are looking for quick, easy, and excellent, I think this group could provide it for you. The best find in all of my research was a dude who has written two very specialized NZ books about the best outdoor spots/hiking/swimming (both well known and overlooked). These books are super great and I can’t recommend them enough. Pick up both NZ Frenzy North Island and NZ Frenzy South Island so that you have detailed info at your fingertips and you support this guy’s endeavors. He is a one-man show (not part of a big publishing company), speaks with a specific voice, and gives good detailed info on places you’d probably never know about otherwise that you definitely want to visit. It would seem that most times of the year are pretty good for travel to NZ. There are not extreme temperature swings with January and February being the hottest months (highs of 70-90°F) and July being the coldest month (highs of 50-60°F). In the winter you can go skiing. In the summer you can go swimming in the rivers and at the beach. We chose to go at the beginning of March to be there for warm weather but after the kids had returned to school and most natives are not on vacation. The disadvantage of this time is that some things are beginning to shut down at the end of a major tourism season. For example, there was a train ride along the east coast of the south island to Christchurch that would have been neat but it had just closed for the season when we were there. You have pretty long days at this time of the year too. Our general plan was to bring enough clothes to make it half of our trip, wash them, and then finish up. We brought mostly stuff to hike/play in with slightly nicer clothes if we wanted to eat someplace snooty patooty. We had been cautioned numerous times to plan for weather changes. Being a relatively small place in a big ocean, weather can blow right in to NZ. This can be amplified if you are on a volcanic mountain devoid of vegetation in the middle of a big plain where weather can blow in from any direction very quickly. The name of the game for us was layers of clothing that included raingear (which we ended up using often) and wind protection (they don’t call it Windy Welly for nothing). We tossed in basic survival essentials when we were hiking for more than an hour. Bring a second pair of walking shoes. You’ll be walking through cow and sheep pastures if you do anything outside of the major cities and that means all kinds of poop. Even better would be a pair of waterproof hiking boots. The ground is often rocky with loose gravel so the extra ankle support is nice to have. The big difference from packing for trips like Yosemite, was that I really wanted to try and get some good pictures at this once-in-a-lifetime place so I brought a bunch of camera stuff too. 1. Eye Mask – I know from years of travel to China that long plane flights are painful. Melanie also doesn’t sleep well and anything to help with that is appreciated. This was the #1 eye mask on The Wirecutter. It is very comfortable and blocks light well. It would get in the way of the headphones mentioned in #2 below, but you are better off using the included earplugs when you sleep for closer to total silence anyway. We both loved these items and thought they made a real difference in the quality of our in-flight sleep. They even block a fair amount of sound without the earplugs in. 2. Noise Canceling Headphones – Also to improve the long plane flight. These headphones are comfy and work well. They don’t create perfect silence but they do a nice job of canceling out background noise and, of course, you can listen to music or movies with them. It is surprising how physically draining it is to listen to loud aircraft engine noise for hours. This really helps minimize that effect. #1 rated on The Wirecutter. Bring extra batteries for this long flight just in case, but in our experience, we didn’t have to trade out the batteries even once. 3. Self-Inflating Neck Pillow – Also to improve the long flight. See the theme? I’d never tried one before always relying on the foldy wings of the airline headrest. I don’t think I’d take this pillow on a long flight again. They take up space in your carry on and on long flights we were always given a pillow. They might be useful for shorter flights where pillows aren’t provided. They are comfortable though. #1 rated on The Wirecutter. 4. Compression Socks – To keep ankles and feet from swelling on the long flight. We’ve heard the wonders of these from folks that are on their feet all day and long distance runners but we’ve always been too cheap to give them a try. We got the socks shown in this link from our local running store that we trust. Be sure to be fitted (calf measured) if you get a pair and know that there are all kinds of compression socks from light duty to distance running (like the ones we got) to ones that compress so much that they are supposed to help fix varicose veins. These things performed amazingly. Neither of us had any foot, ankle, or calf swelling on the flights. In fact, our legs felt completely normal at the end of the flight. To contrast, there have been flights I have taken in the past where my feet swelled enough that it was difficult to put my shoes on at the end of the flight. HIGHLY RECOMMENDED! 5. Backpacking Towel – This one almost seemed silly, but I knew there would be a few places we would visit that I would love to get in the water if it wasn’t absolutely freezing. We got the large size, which is basically a long hand towel size. It only weighs 4 oz and packs down smaller than a cloth dinner napkin. It soaks up water magically and it dries fast (somewhere between 3-6 hrs from wet to bone dry). I really like this thing. I would not get a smaller size as drying your back would become a real challenge. I’m 6’1″ and a large dried me completely with parts of the towel not even getting wet. #1 rated on The Wirecutter. Nothing to worry about here. No snakes. No mountain lions. No crocodiles. Really. It is amazing that this place is so close to Australia, home of everything that wants to kill you, and there is not a creature that will harm you here. What a treat. The only annoyance are the bugs on the very western side and southernmost part of the south island (sand flies – bite bite itch itch). We didn’t experience them in huge numbers because we didn’t go to those areas, but apparently they are quite horrible there. If you are planning to do any glacier hiking, Milford Sound, or multi-day tramps, you will probably be in these areas though so plan on getting some bug repellent before you hit the trail or tour boat and wear long pants. The NZ Frenzy South Island book mentioned above has more to say about these little nasties. We were not able to escape sand flies entirely on the south island and even two weeks after our trip I can still find little bumps on my arms and legs where the got me. Melanie has very few bites. The big difference was that I was standing still in one place for a long time taking pictures. This is apparently an open invitation to sand flies. Next time I’ll get some insect repellent! A lot of work went into making this trip happen. If you find it helpful, consider supporting me. You can do this by following any of the Amazon links on this site and buying something. It doesn’t even need to be the item linked. You don’t pay anything extra and I get a small commission. You can also click on the donate button on the right side of this blog if you wish to contribute directly. For some reason the sidebar containing this button doesn’t show up all the time. If you don’t see it or my recommended reading list on the right side of your screen, click the header at the top of any page to take you to the home page. You’ll see the sidebar there for certain. Most importantly, let me know if this info helps you and, if you visit NZ, be sure to tell the rest of us all about it! NOW GET READY FOR DAY ONE OF OUR TRIP!